4 New MoMA Products Will Debut in 2018! Visual Arts Press has just published a feature on the (so far) 6 products to be manufactured and sold by the Museum of Modern Arts Wholesale Division—4 starting in January. 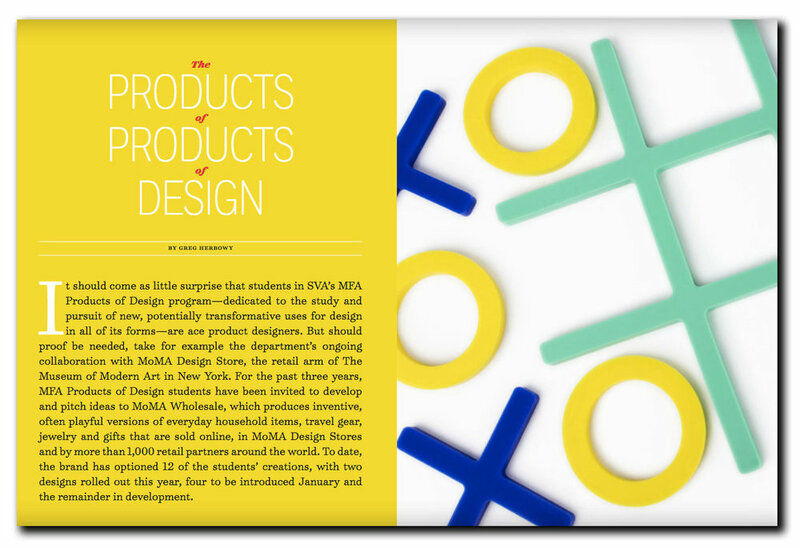 Now in its fourth year of the partnership, the MFA Products of Design students design consumer products for inclusion in the museums revered catalog, selling all over the world. In addition to Products of Design graduates Panisa Khumpresert and Oscar de la Hera Gomez, new products debuting next month have been designed by Class of 2017 alumns Alexa Fourney, Josh Corn, and Oscar Pipson! Enjoy the spreads below from VAP, and read the article on ISSUU here.